The Victorian Skilled and Business Migration Program will be reopening from 1 July 2017 for ICT occupations. The detail list of the occupations is enlisted under the nomination occupation list for Victoria. The Immigration Department announced to change the application process for ICT occupations due to the high number of ICT applications received by the province. The change was announced with an object to minimize the processing time and to advance the experience with the program. Check whether you meet the requirements set by the Department of Immigration and Border Protection’s Skilled Nominated visa under subclass 190. Submit the Expression of Interest for the Skilled Nominated visa under subclass 190 in Department of Immigration and Border Protection’s Skill Select, and specify why you should be nominated for the Victorian nomination. 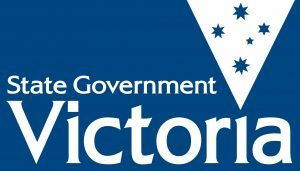 You will be intimated by the Department of Immigration and Border Protection if your application has been picked by Victoria via email to apply for Victorian visa nomination. On receipt of the invitation, you need to apply for the Victorian visa nomination within 2 weeks. Lastly, submit a visa application to Department of Immigration and Border Protection within 60 days of being nominated by Victoria. The government of Victoria will review and decide on the top ranking ICT candidates from the SkillSelect. If in case you are not selected by the Victorian Government, you will not receive an email. Your Expression of Interest will continue to be considered for as long as it remains in Department of Immigration and Border Protection’s SkillSelect system.